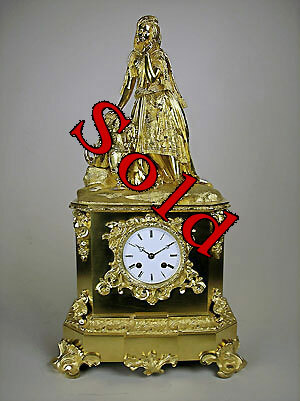 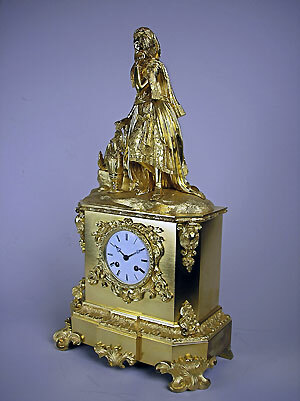 This is a fine gilt bronze figural mantel clock by J. Foissey and Boulogne of France. 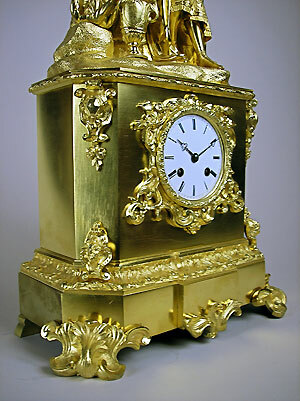 The clock has silk-suspension and eight-day movement striking on a bell. 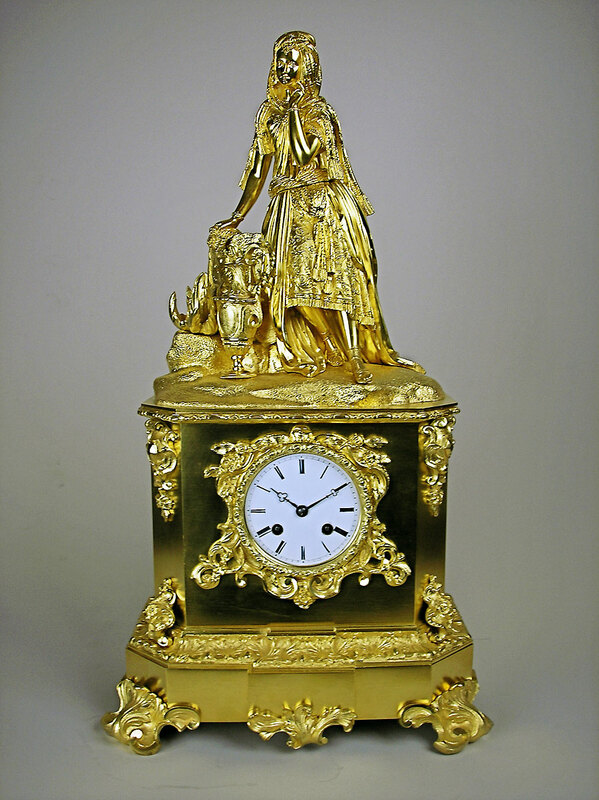 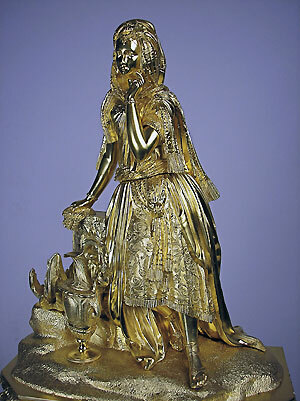 The very finely detailed case depicts a female figure leaning against natural rocks. 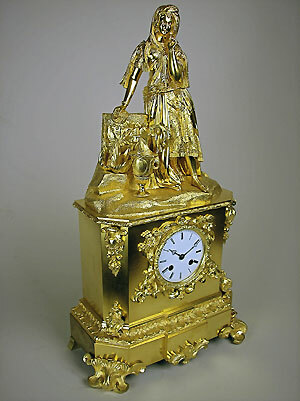 The Roman porcelain dial has trefoil hands and the whole clock is very high quality.